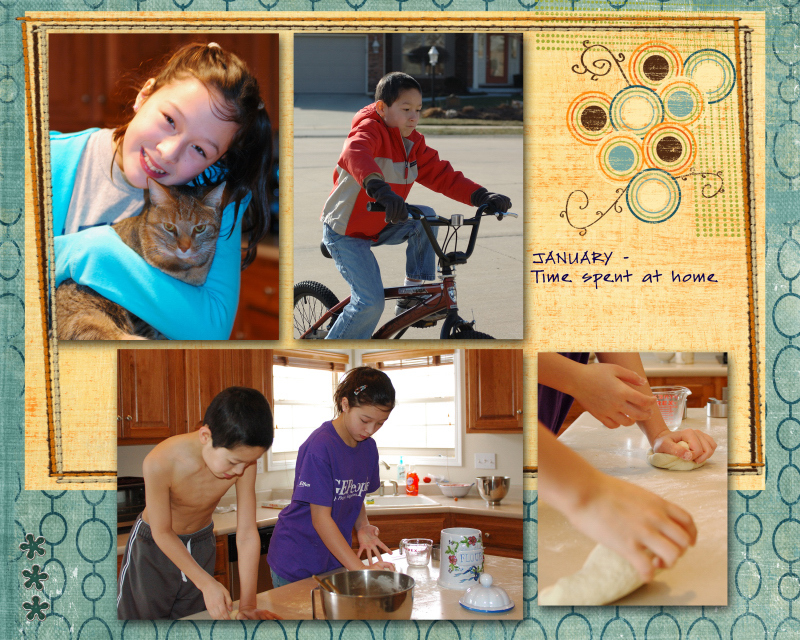 I've been busy creating digi-layouts for our annual custom calendar. I am about 75% complete and need to finish the remaining months tomorrow in order to get the calendar created before the first month of 2010 is over! I've done this project for 3 or 4 years now, and several people have come to expect one each year. [This includes me - I hang one up in my office - Scott has one, too]. Will share the rest when I get them finished!